VLADIVOSTOK. Sept 12 (Interfax) – Russian President Vladimir Putin believes that nuclear powers should take part in the discussion of international security guarantees for North Korea. “What kind of guarantees could that be? International. We have such a format as six-nation talks. The international community can give such guarantees, including those supported with the involvement of nuclear powers in these agreements. China and Russia are parties to these talks,” Putin said at a plenary meeting of Eastern Economic Forum. Putin said he doubted that North Korea would be satisfied with the United States’ security guarantees given in exchange for its steps towards denuclearization, and international guarantees would be more appropriate. 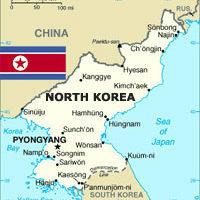 “If we will happy if North Korea deems U.S. guarantees to be sufficient, but that is unlikely, we have to be realistic. I believe international guarantees would be more appropriate, and we should speak about them,” Putin said. “Whenever North Korea takes a step towards denuclearization, it is expecting others to reciprocate instead of endlessly demanding a full disarmament before a decision how to provide its security is made,” Putin said.